SKU: 9780992026813. Category: Travel. Tags: guide, Mandarin, Panda Guides, Shanghai, travel. With details concerning major attractions, off-the-beaten-track spots, drinking and nightlife venues, and restaurants and hotels/hostels from all over the city, Panda Guides Shanghai is the most complete guide of its kind. 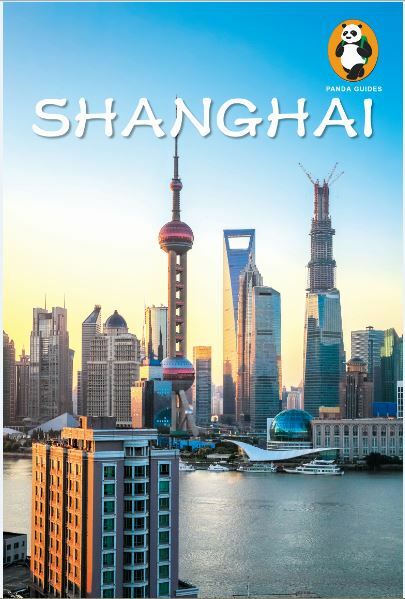 Written by a team of expats who live in and know China’s roaring financial capital, our Shanghai title is the first guidebook of its kind to offer local discounts to readers, as well as an opportunity to win a free trip through China by purchasing the book. Apart from all the money readers can save by following the Panda, this edition of Shanghai also comes with a pullout map of the city, while individual maps can be found inside for key tourist attractions, and mini-maps are provided for every local business (hotels, hostels, bars, and restaurants) that show all major cross streets and the nearest subway station(s). What’s more, we’ve made the travel experience even easier by placing each attraction’s vital info (i.e. transportation details, opening hours, admission, phone number, website, etc.) in clearly marked orange boxes at the beginning of every listing. This volume is also packed with sample itineraries, a Mandarin phrasebook, a user-friendly index, sections on culture, history, art, music, and movies, full-color pictures (to give you an engrossing feel of a destination before the reader even goes) and much more! Plus, the Hot Topics section will reveal what life on the ground is like with coverage of fascinating themes such as Air Pollution, Food & Water Safety, Traveling with Kids, Scams, Travel, Culture Shock, Taboo & Etiquette and others. For all this and more, Panda Guides Shanghai isn’t just a guide, it’s an experience. For more on our books and maps, and to get updated information concerning travel news and special events throughout China, check out www.PandaGuides.com. Brendan P. O’ Reilly was born and raised in Seattle. He graduated with a degree in Political Science, Philosophy, and Economics from Western Washington University in 2008, and then began traveling the world. After living for a year as a volunteer in Kolkata and a street musician in New Zealand, Brendan decided to settle down in China as a writer and educator. While living in rugged northern Jiangxi, Shanghai quickly became his favorite refuge of modern urban sophistication, and nowadays he frequently returns to visit his immediate family members. Apart from Panda Guides, his work has been featured in various publications, such as Asia Times, BBC Vietnamese, Business Insider, The Diplomat and China Outlook. Brendan is conversational and literate in Mandarin and lives with his wife and son in Xiamen. Trey Archer Trey Archer is from Lake Charles, Louisiana and studied International Affairs at the George Washington University. While backpacking Latin America in 2007, he declared while hitchhiking by boat from Colombia to Panama that he’d pursue a career in travel writing after graduation instead of entering the world of diplomacy. Since then he has traveled to nearly 100 countries, speaks Spanish, Portuguese and Mandarin fluently, and has lived in nine different nations. Trey first moved to China in 2008 and settled down in the suburbs of Shanghai, loving every second of it. Though he currently resides in Beijing, he periodically returns to visit Shanghai – the city that triggered his China adventure. In his free time he trains Muay Thai, supports the New Orleans Saints, cycles, and travels as much as humanly possible. Ansel Klusmire grew up in Colorado, Montana and Bishop, California, went to university in New York, rolled around a bit in Tucson, Arizona, and then moved to China in a dubious bid to make something of the four years he spent learning Mandarin in college. He’s lived in Shanghai for two years now and has spent his time working for odd bosses at strange jobs while continuing to study Chinese language and culture on his own and at a leisurely pace. He enjoys reading and writing and would enjoy some time alone in the wilderness if he could find out where it is. Find the top 1,000 places to get naked in the USA, Canada, the Caribbean, Europe and Australia highlighted in full color with photos, maps and a color coded thumbnail index for quick and easy reference.